← Community Spirit Shines in Players’ MIRACLE ON 34th ST. 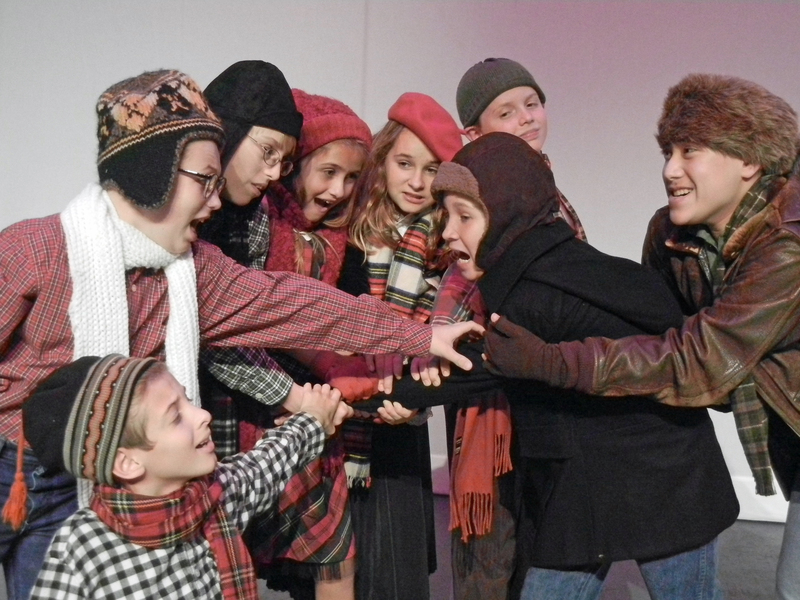 There is Christmas joy aplenty in the current run of the Stage Right Players’ production of the Philip Grecian adaptation of Jean Shepherd’s charming, “A Christmas Story.” Many will recall that sweet film which is now an annual holiday television tradition, and deservedly so. In the very capable hands of director, Jim Bingham, this Crighton Theatre stage adaptation holds true to the original concept of the innocent, though somewhat bumbling, Parker family in 1938 Indiana. With its cutaway house interior showing upstairs bedroom, kitchen, living room and backyard, the cleverly designed set (Katt Gilcrease) allows all the action to play out in this single format without the clumsy set changes that sometimes slow the pace of other productions. This literally set the stage for much of the success that followed. The theater itself was in a festive mood with charming holiday garlands surrounding the auditorium, and the proceedings got briskly underway with fine narration from the adult Ralph (Joe Witcraft), who introduces the tale of his own boyhood years before that is about to unfold. That nine year-old boy is Ralphie Parker and is sweetly played here with youthful charm by Peter McPoland. At the core of the show’s plot is young Ralphie’s heart’s desire to have the gift of his very own Red Ryder BB gun when Christmas Day arrives. Set designer, Gilcrease, affectionately plays Ralphie’s father, the Old Man, with appropriately bumbling and comic skill. Ralphie’s patient and understanding mom is portrayed with gentle warmth by Patrice Kentimenos, while his quirky and adorable little brother, Randy, is amusingly played by Coulter Barzilla. Don’t miss the hilarious chance to see little Randy eat his meals! including buddies, Flick (Trace Blackletter) and Schwartz (Ethan Hackney), along with the adorably flirtatious girls, Esther Jane (Lauren Ferro) and Helen (Megan Jones), not to mention the notorious school bully, Scut Farkas (viciously played by Michael Wong). In the cleverly staged department store scene there is even an off-stage Santa Claus that we never see (voice of Gerald Livingston), and even two of Santa’s elves appear (Rayne Brown & Jenna Witcraft). 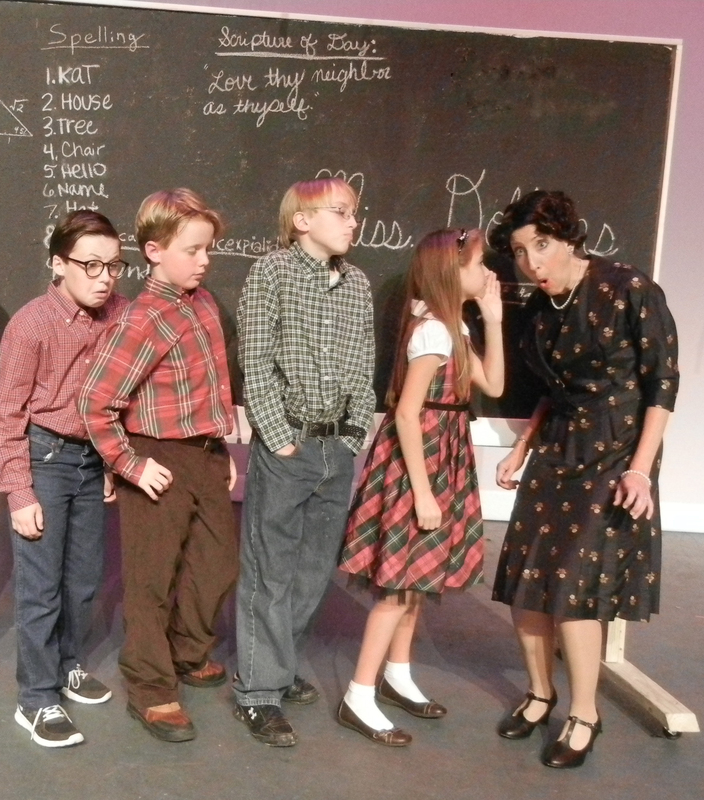 Of course the entire cast is beautifully costumed for the period by designer’s, Katie Kelly & Amy Sowers. I don’t want to give away too much of the fun-filled plot, but trust me when I tell you the fantasy scenes that Ralphie has in his imagination while dreaming of his hoped-for Red Ryder BB gun are hilariously brought to the stage by this skillful comedy troupe. 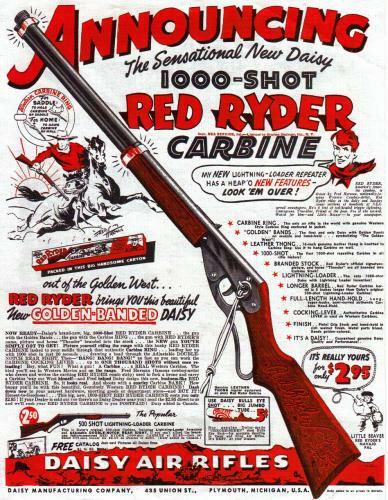 Don’t be surprised if someone warns Ralphie that a gun like that might cause him to shoot his eye out! 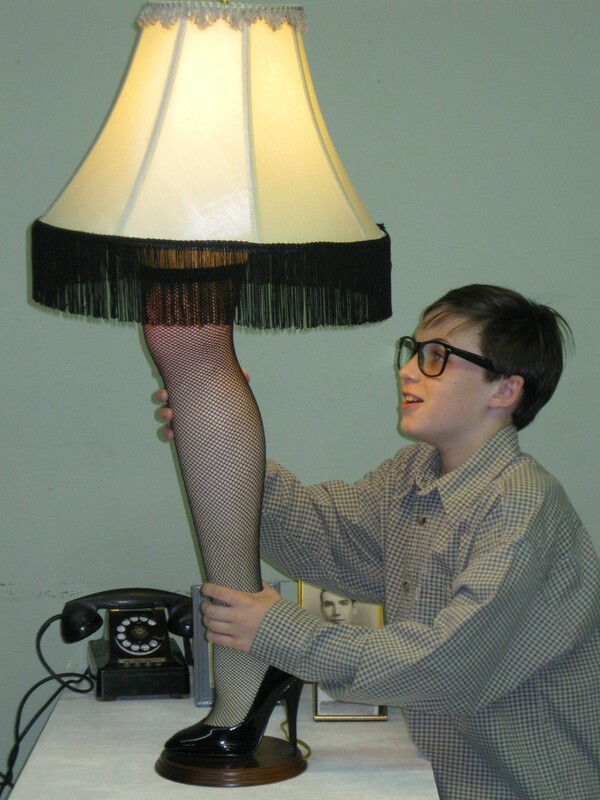 And if those scenes don’t fill your laugh quota, stick around for the “major award” that Ralphie’s dad is lucky enough to win. If you decide you would like an award like that of your very own, you might want to visit the following website right after the show: http://www.redriderleglamps.com/. This entry was posted in Miscellaneous Reviews, The Courier Columns, Theater Reviews and tagged Conroe, Crighton Theatre, Entertainment, plays, Reviews, Texas, theatre. Bookmark the permalink. 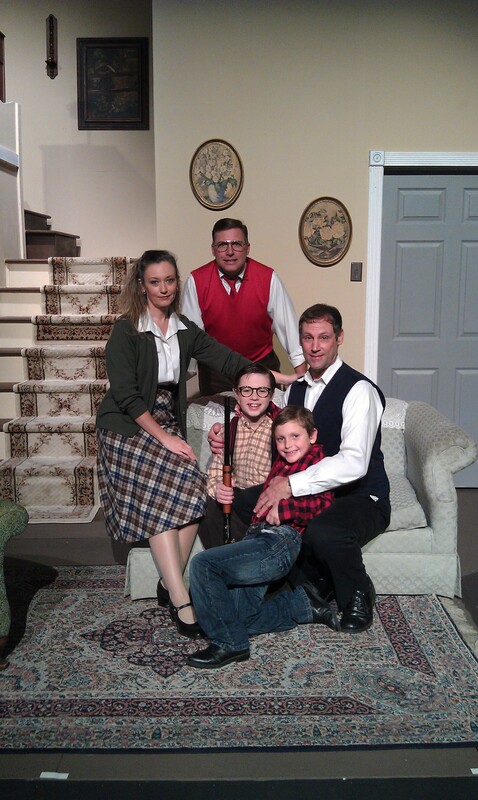 That’s me in the picture for “A Christmas Story.” I’ve never been on google or on a website before. The play was so much fun, but you had to make a big comment in your story. That must be really hard to do though, because if you mess up there are no re-dos.